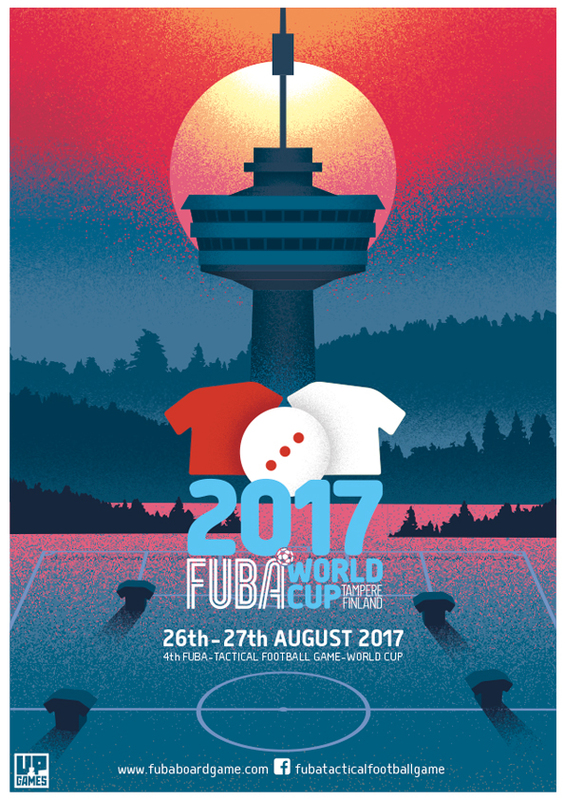 You can find FUBA World Cup 2017 photos now at the photo page. 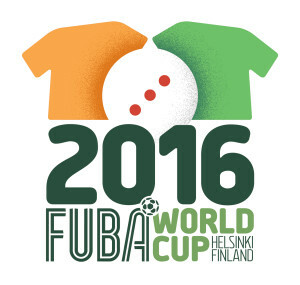 Jari Kemppainen won 4th FUBA World Cup. 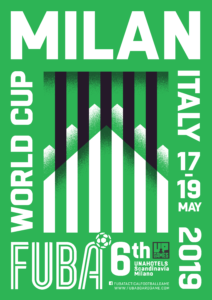 He used 4-4-2 formation through the tournament. 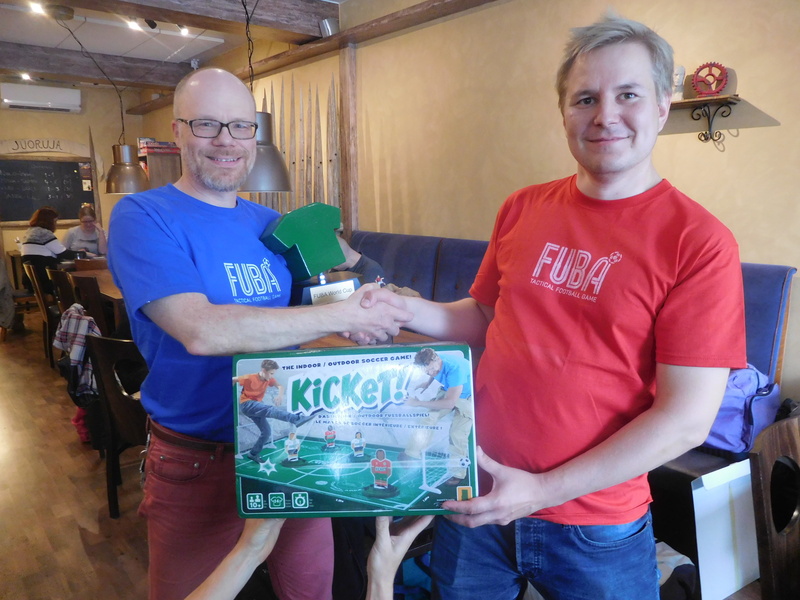 In the final he scored the winning goal (3-2) 90+3 min against Mika Mäkelä. 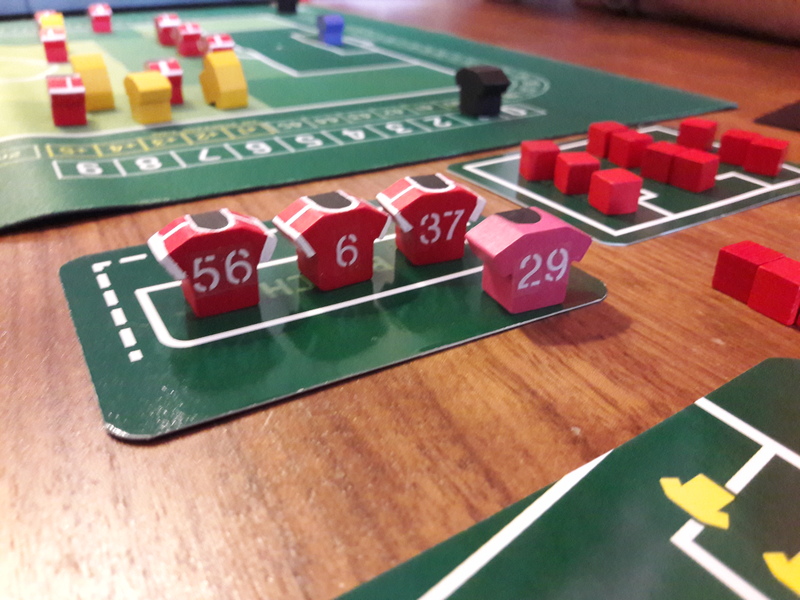 The final game was a battle of two different tactics. 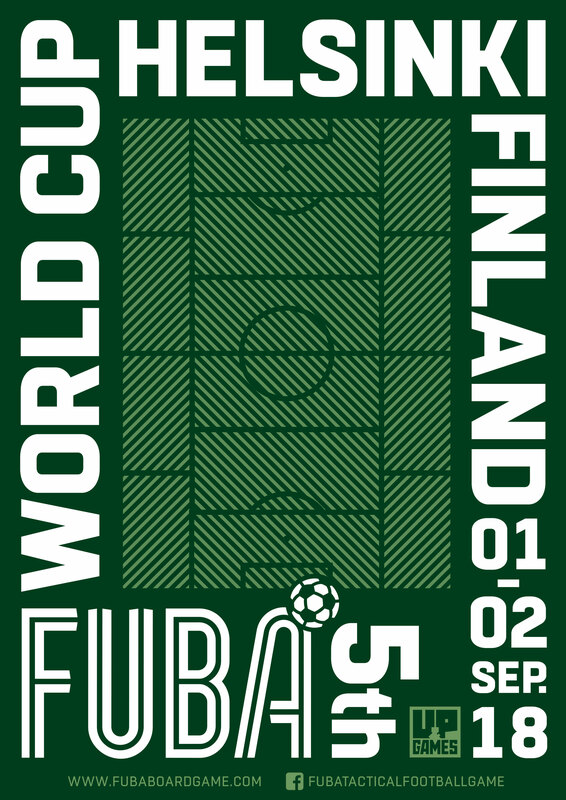 Jari used 4-4-2 and played cautiously while Mika with 3-4-3 had one of the most aggressive playing style in the tournament. 4th FUBA World Cup will be organised 26th – 27th of August in Tampere, Finland. 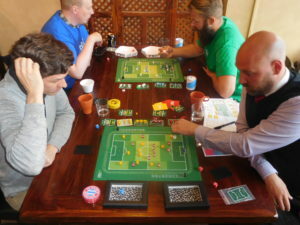 The event takes place in a local board game Cafe, Taverna. More information soon. 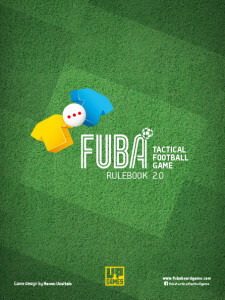 FUBA 2.0 rulebook is finally available as a free PDF version. Two major changes after the latest draft are the pressing rule and the order of action stages. If you find out some mistakes or some rules are difficult to understand please send us feedback at fuba@fubaboardgame.com. We will publish updated version on May if required. 3rd FUBA World Cup will be organised 3rd – 4th of September in Helsinki.